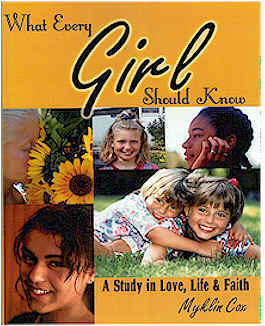 In What Every Girl Should Know: A Study In Love, Life, & Faith, one topic Myklin addresses is the need for a young woman to take care of her body. Proper diet plays a key role in a girl's overall health. Myklin talks about the benefits of different foods and the role they play in the body. She also discusses how keeping a disciplined lifestyle is critical to maintaining good health. Myklin encourages each girl to live in such a way that is pleasing to the Lord, in every area her life!